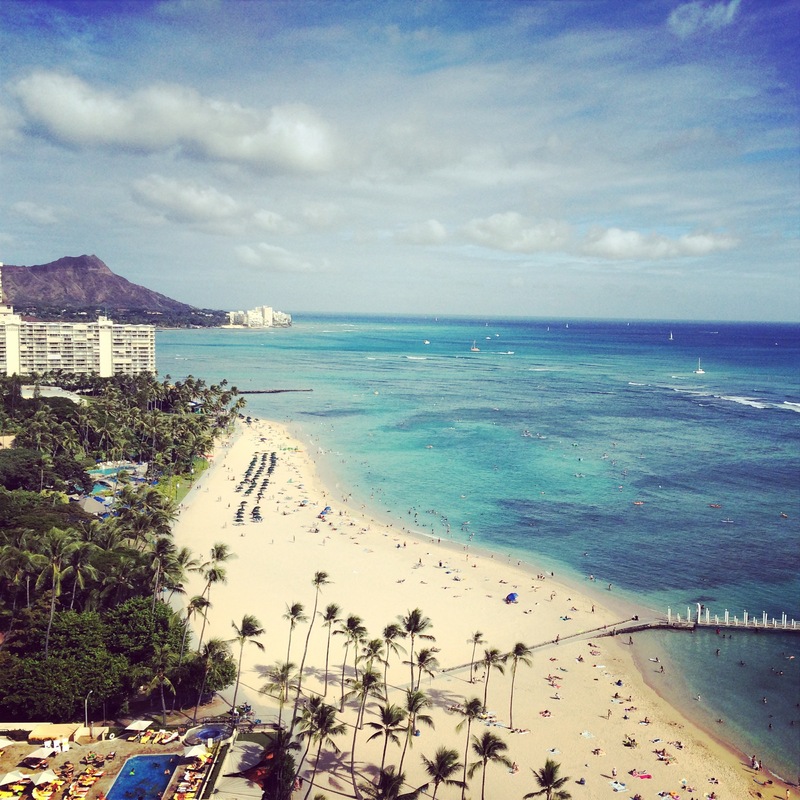 I spent 11 Aaamazing nights in Honolulu, Hawaii. This trip was to celebrate my 30th Birthday. I have been nagging my husband for years to take me to Hawaii and he finally gave in. We took a nonstop flight from JFK on Hawaiian airlines. It was a pretty long flight 10 1/2 hours. However, they did feed us very well and we did pop some champagne on the airplane (more like twisted the cap to the champagne). We kept ourselves busy by binge watching Orange Is The New Black on the iPad. 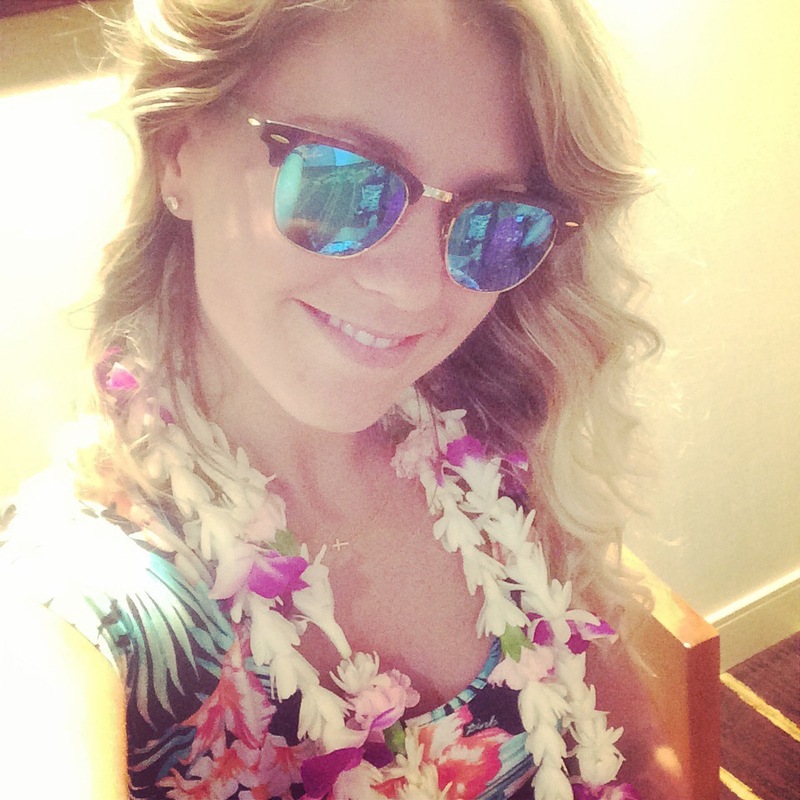 (I am currently obsessed with that show) We did get lei’d when we got off the plane by our Costco travel rep. (we found the best price from Costco) We stayed at the Hilton Waikiki Village located on Waikiki Beach. It was a beautiful hotel with lots of upscale shopping and restaurants on the premises. They even had a Louis Vuitton store that I had to stay away from. (I have a bad bag addiction). They had several Starbucks located in the village and surrounding area and a Lappert’s Ice Cream shop that was so good I don’t know if I can go back to Coldstone. (White Chocolate Macadamia Nut Ice Cream in a waffle cone. Yum! )The hotel was very busy, July is high peak season. 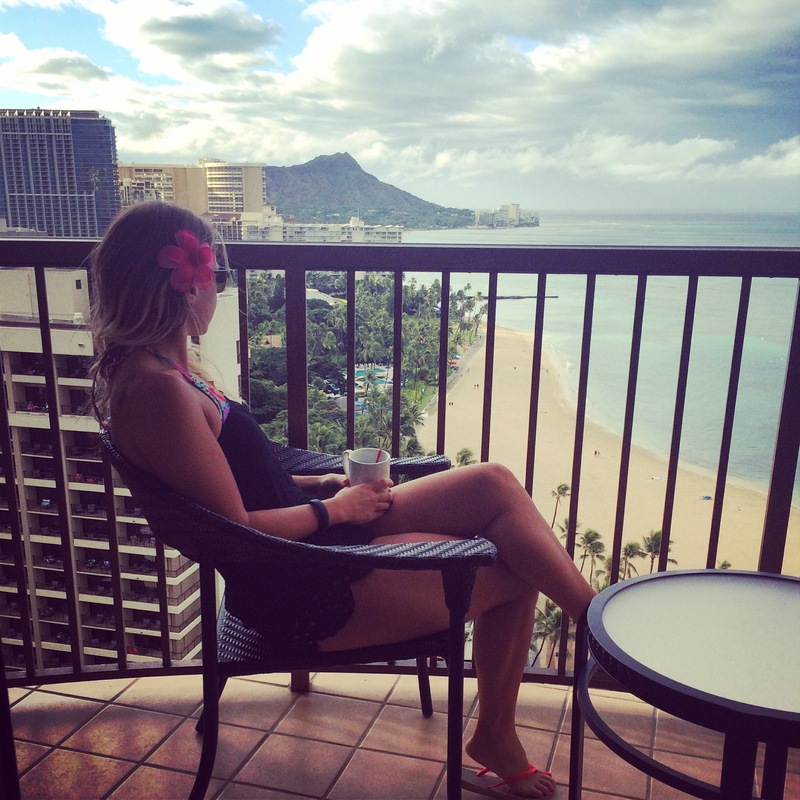 We had an ocean front room with a beautiful view of Diamond Head. (After complaining about the pool view room that they offered us first). The hotel had several pools but you still had to get there early if you wanted a lounge chair. There is also The Duke Kahanamoku Beach & Lagoon if you are looking for calm water. They had paddle boards, surfboards and pedal boats to rent. They also have fireworks every Friday night. 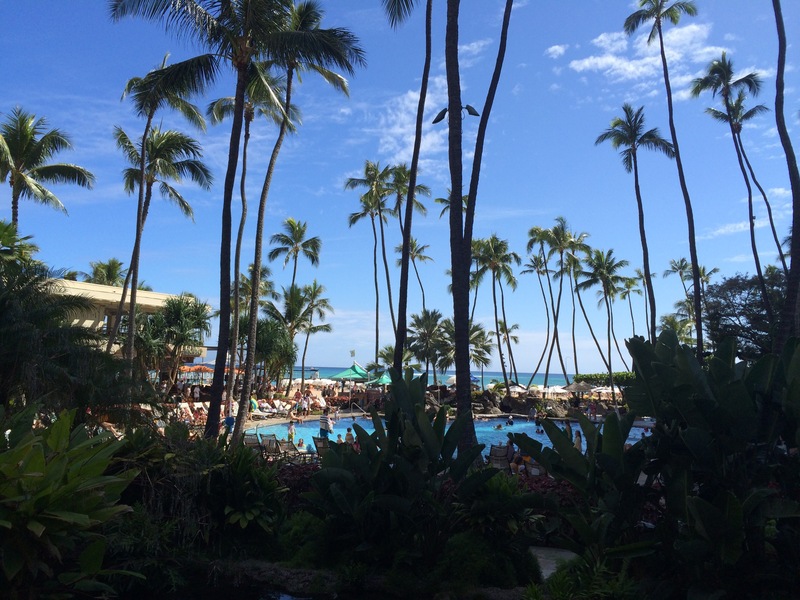 I don’t like to keep my blogs too long so I will be posting a few blogs on my trip to Hawaii. It will be mostly about Food, activities, and what I wore.